Let A and B be two events associated with the same random experiment. 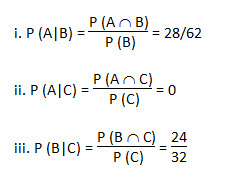 The probability of occurrence of A under the condition that B has already occurred (and P (B) ≠ 0) is called Conditional Probability and is denoted by P (A/B). P (A/B) signifies the probability of occurrence of event A given that event B has already occurred. P (B/A) = P (A∩B) / P (A). If P (A∩B) = 0, then events A and B are mutually exclusive, i.e. they do not occur together. A die is rolled. 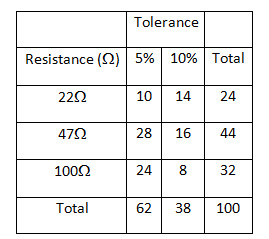 If the outcome is an odd number, what is the probability of it being a prime number? Here the number of possible odd numbers = 3, and of these there are 2 that are prime. A pair of dice is rolled. Find the probability that the sum of the two numbers that appear in each of the two die is 7. Let A and B be events such that P(A) = 0.3, P(B) = 0.4 and P(AUB) = 0.5. 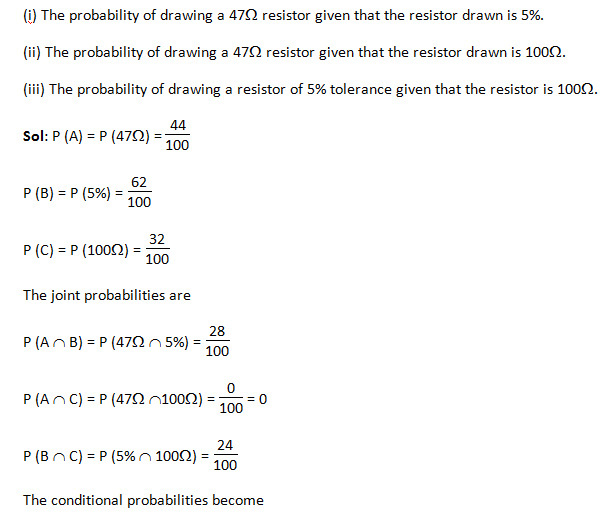 What is the value of P (B/A).